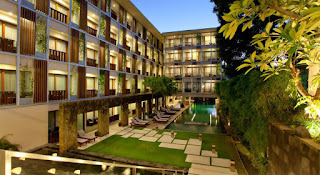 THE HAVEN Bali Seminyak managed by PHM Hospitality, THE HAVEN is pioneering lifestyle resort offering three different experience, SUITES - HOTEL - VILLAS, in the very best & dynamic hub of Seminyak, Bali’s most sought after neighborhood. Send complete application required and recent photograph to : recruitment.seminyak@thehavenhotels.com With subject position applied ex : Spa Therapist. Only short listed candidate will be notify.